Just in time for Turkey Day, I thought I’d share this table setting idea. Go get a box of drapery rings, typically you can get 10 for around $10. 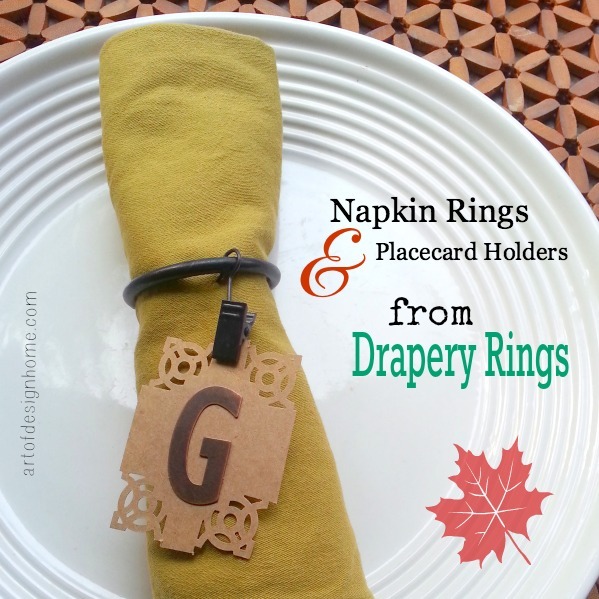 You can put your napkin in the ring part, and clip a placecard as well. Isn’t that fun?! I thank and appreciate each and every one of you who follow this blog. Have a wonderful Thanksgiving.